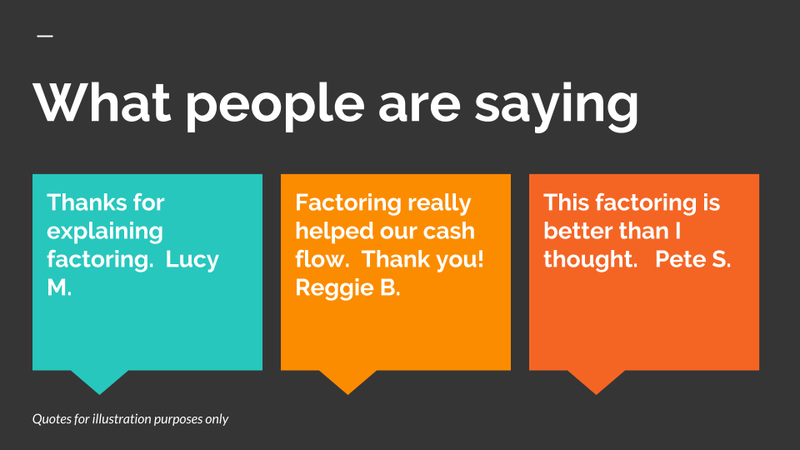 Factoring lets business get money immediately against their Invoices. Businesses often have to wait 30 days or longer to get paid on their invoices. Factoring pays companies between 70% and 85% of the invoice total right away. Once the Invoice is paid, the remaining amount is paid less the fee. Help your company’s Cash flow, Expansions, New Markets, Working Capital, Advertising, New Employees, Inventory, Raw Materials, Staffing, Taxes, Equipment Acquisition…..or ANY REASON! Get up to 85% of the value of the invoice now. Don’t want to wait to get your money? Now you don’t have to. Improve your company’s cash flow immediately. Use the money to begin new projects sooner. Those new projects can also be paid faster. Tough Deals are routinely done. 1 – 2 Day Approval Process. Generate more Revenue in your business! In factoring, cash is paid against your invoices. The factor fronts your company the money today so your business does not have to wait 30 to 60 days until the invoice is paid. The charge is between 1% and 5% of the invoice. The amount depends on the strength of the company paying the invoice. Your business generates revenue by using cash, not waiting for companies to pay your invoices. Turn untapped cash in your company’s invoices into cash today. Credit requirements are easy to qualify for. 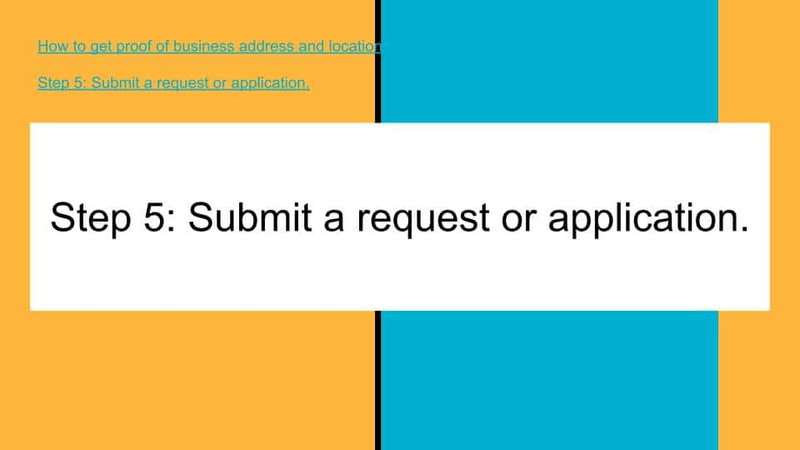 Just a 1 page application and list of your company’s invoices is all that is needed to get started. Your business has invoices outstanding. The Company paying the Invoice is an established company. If so, they are likely already factor for other companies like yours. Invoices as low as $5,000 can qualify. “How do I get factoring?”. Callers also make other common requests. “We need factoring” and “Tell me about factoring”. Other callers also ask, “Tell me about factoring”, and “We want information on factoring”. 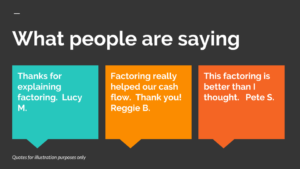 How can factoring help my cash flow? Invoice financing – How to get invoice financing. Get invoice financing fast. Factoring is financing that allows a business to get most of what is owed to them on invoices within 1 or 2 days after they send the invoice. Many businesses have to wait 30 days or longer to be paid on invoices. This financing cuts down this time frame dramatically. Question: How much can I qualify for? Answer: It depends on the amount of the Invoices that can be factored. A company that has $100,000 in Invoices that can be factored often gets $75,000 to $85,000 within a day or two. How soon can we be funded? Once your account has been set up, invoices are normally paid within 1 to 2 days. My business is only a few months old. Can we still qualify? Yes. The age of your business is not important. It is on the company that is paying the invoice. Question: How important is business and personal credit? Answer: Personal credit and business credit is not important for the company that is waiting to get paid on their own invoice. Thank you for visiting our resource page! 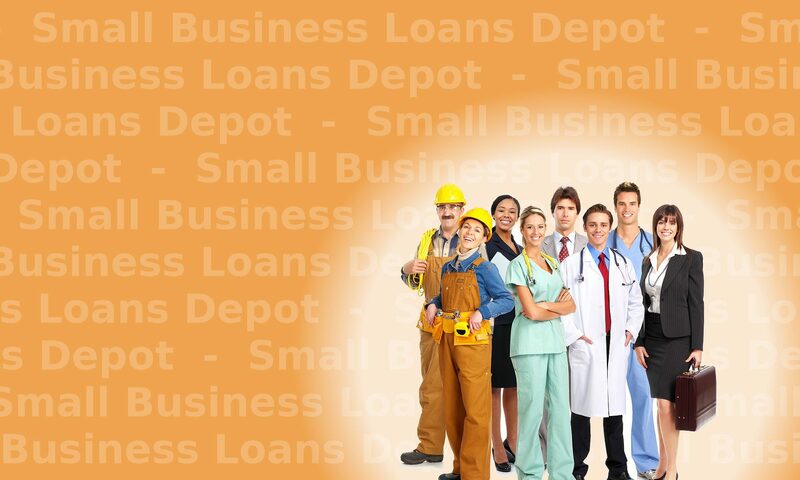 For more business loan resources, visit the SBA for business loan preparation and other valuable information.